Barcelona remains an extremely attractive investment option, with property prices still significantly below those in other major European cities. 38% of all Lucas Fox buyers in Barcelona purchased property for investment purposes in the first three quarters of 2018. The recent healthy price increases signal great potential for capital appreciation whilst rental yields are as much as 5% in prime areas. The local economy is healthy, interest rates remain low and there are numerous competitive mortgage deals around. 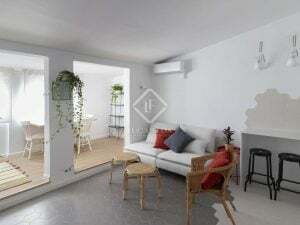 All this combined with the well documented lifestyle benefits has meant that Barcelona real estate continues to be an enticing proposition for property investors. Here are Lucas Fox’s pick of the best investment properties currently for sale in the Catalan capital.